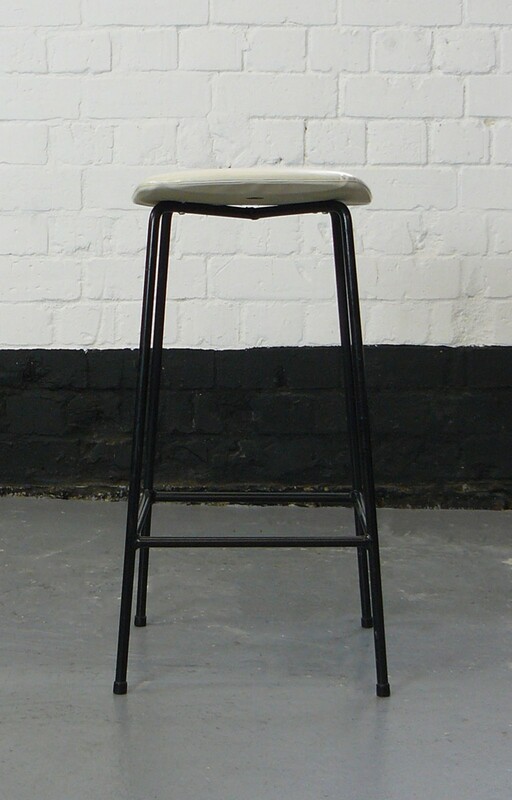 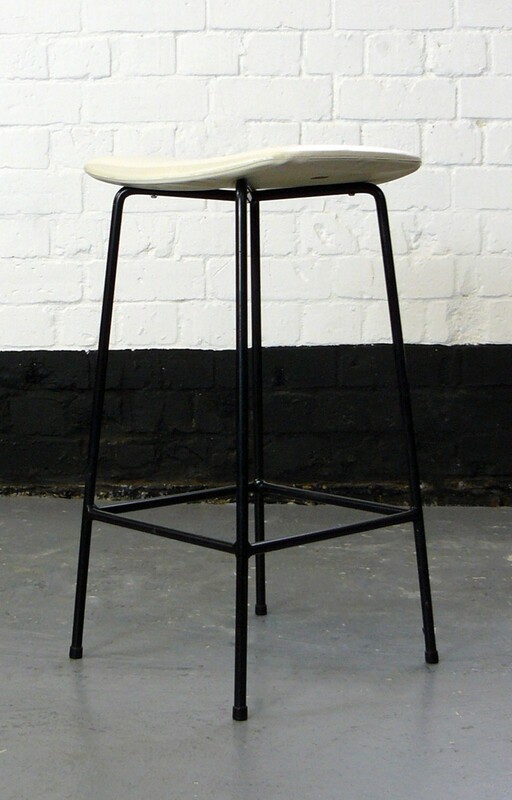 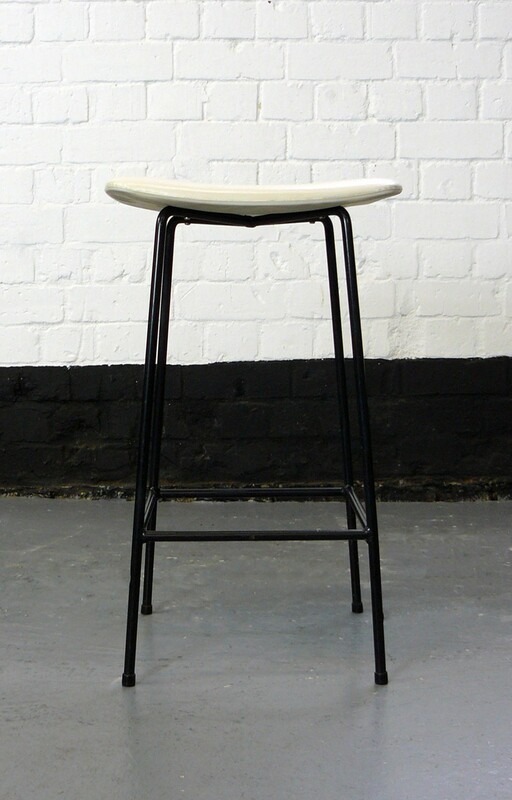 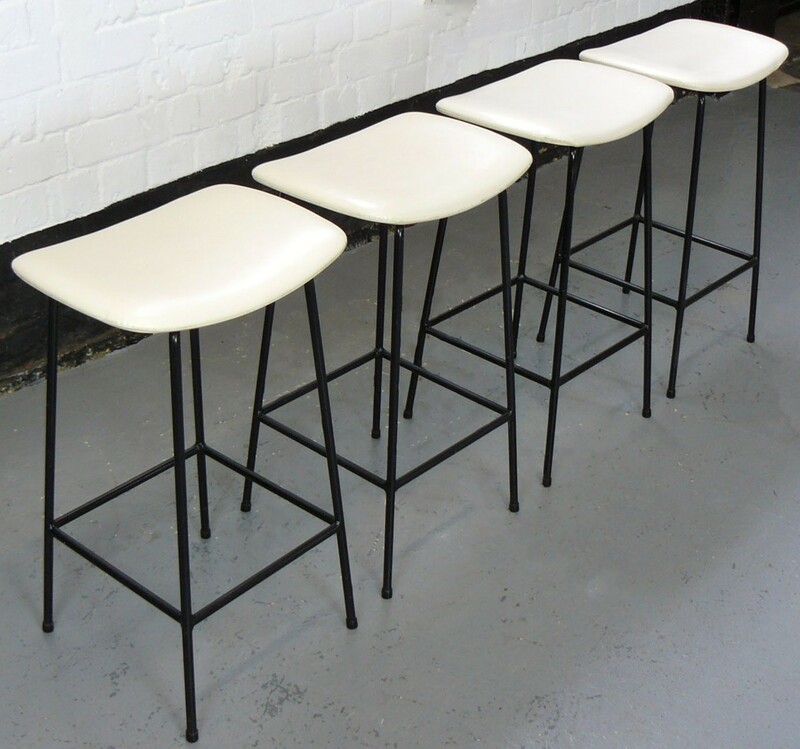 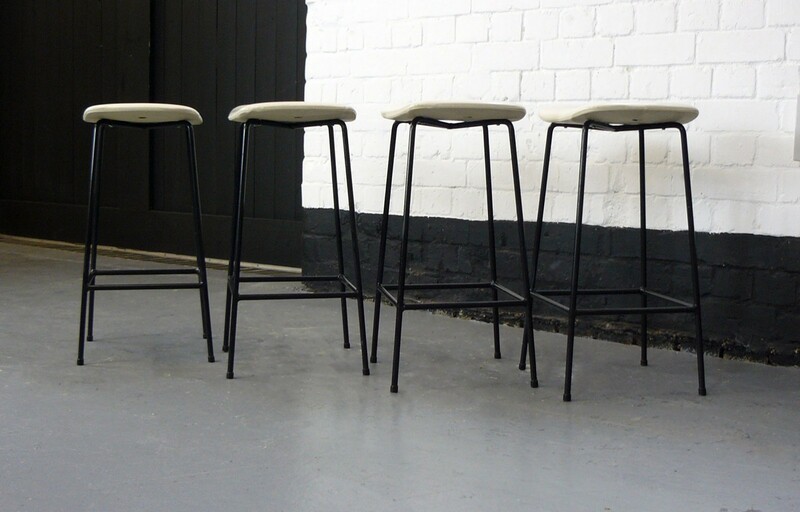 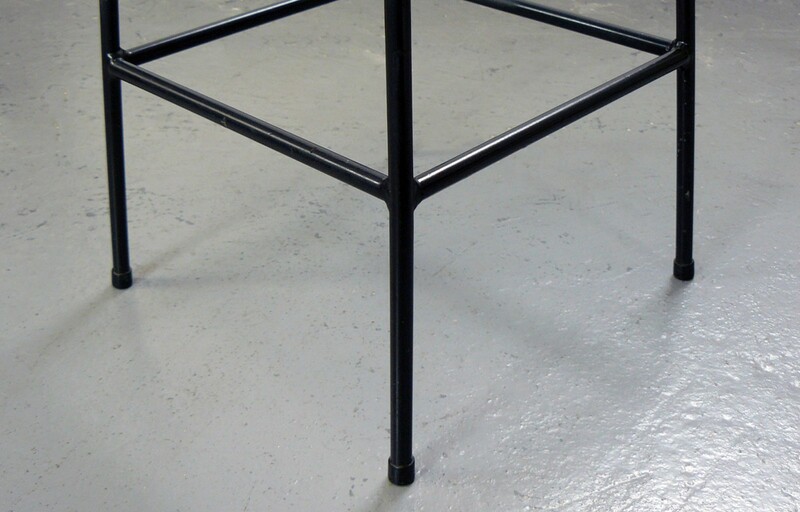 A set of 4 matching stools designed for the Trimma kitchen range by Frank Guille in one of the best colour combos black steel frame and off-white seats. 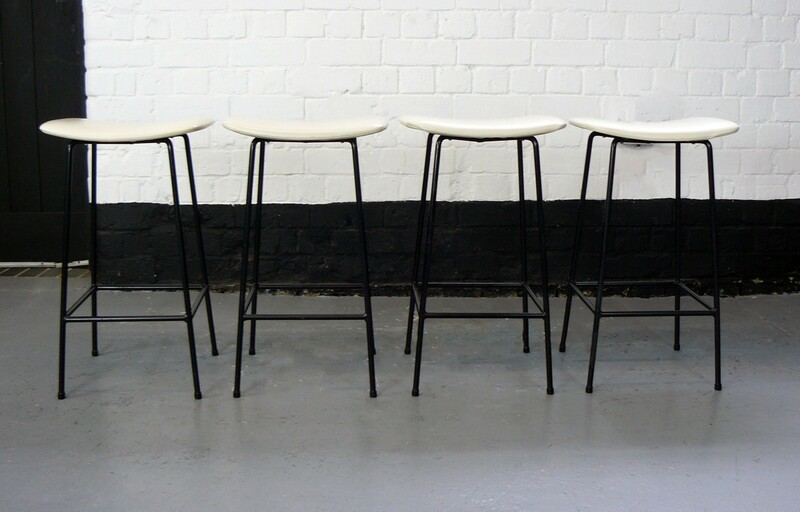 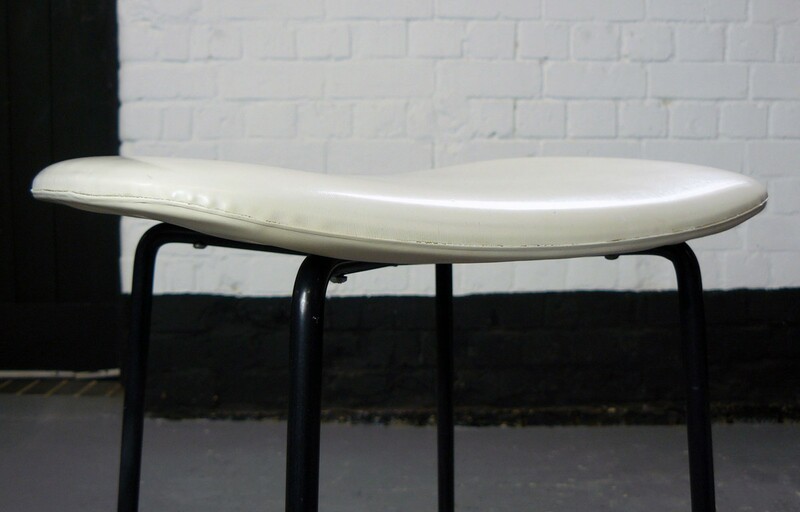 Always good to find a set of 4 and these are in very good original condition with the black steel rod frames only having light marks and the seats perfect except for a very tiny split on one edge of one which you have to look really hard for! 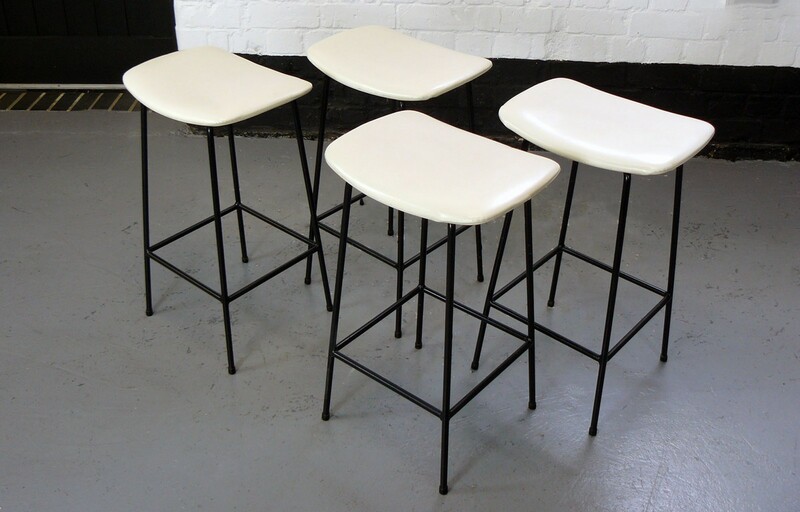 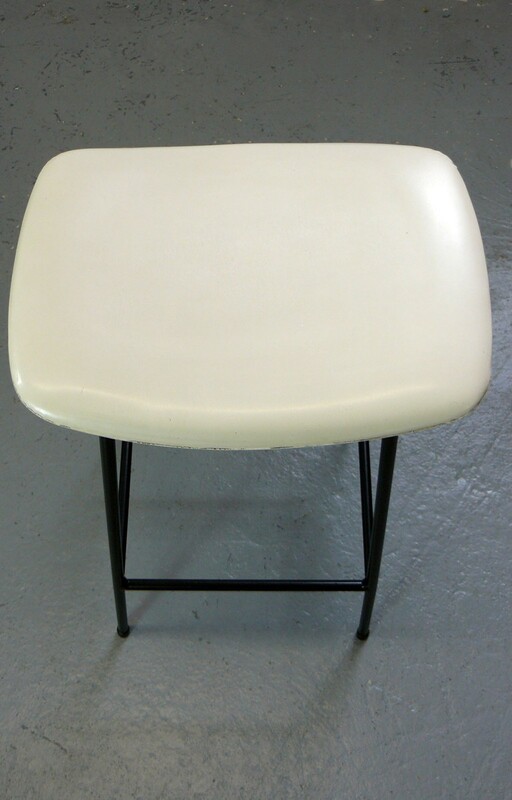 A great example of British post war design and perfect for home or commercial use. 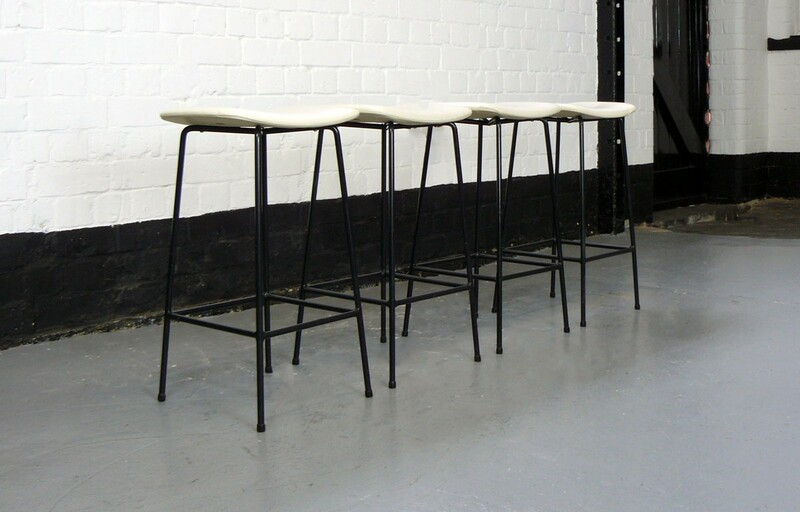 Price is for the set of four delivered by private courier.